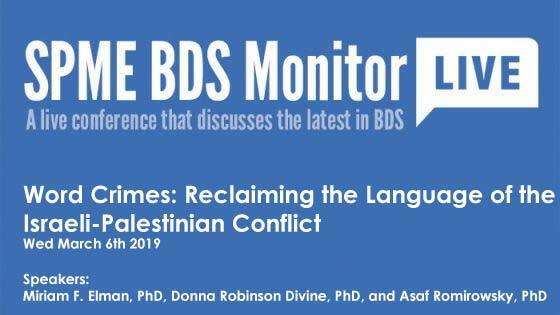 The election of BDS supporters to Congress and the growing public conflicts between university faculties and administrations have spread the antisemitism implicit in BDS throughout American politics and culture. Thanks to BDS, bipartisanship over Israel is evaporating, with no end in sight. SPME’s Live Briefing Series covers recent BDS developments and gives listeners the opportunity to ask questions to SPME staff. 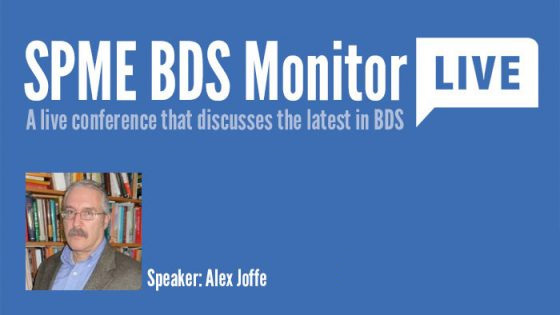 Dr. Alex Joffe is editor of SPME’s monthly BDS Monitor. He is an archaeologist and historian specializing in the Middle East and contemporary international affairs. Educated at Cornell University and the University of Arizona, he is also a Shillman-Ginsburg fellow of the Middle East Forum. Among other topics he has written extensively on the BDS movement and contemporary antisemitism.